For 49 years, OneWorld has been rooted in South Omaha and grounded in our mission to welcome, care for and support all people with special attention to underserved populations. In January 2019, OneWorld further strengthened its bond with the community by becoming the owner of the 93-year-old Livestock Exchange Building. The Livestock Exchange Building was built in 1926 for the Union Stockyards of Omaha, and it served as the center of the livestock industry in Omaha for 73 years. 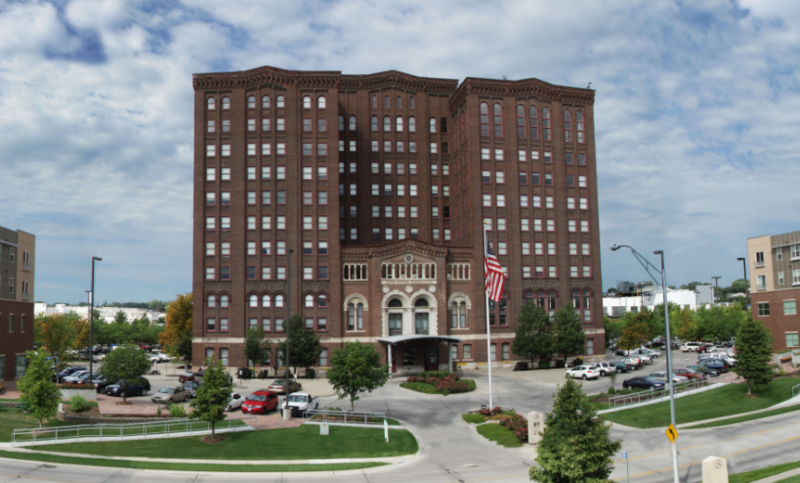 After the Union Stockyards closed in 1999, the building was designated as an Omaha Landmark and listed on the National Register of Historic Places. In 2004, Skolkin and the OneWorld Board of Directors decided to move the health center from its facility at 36th and Q Streets to the Livestock Exchange Building. The first three floors of the building were renovated, and OneWorld began operating from its new headquarters in 2005. At that time, the clinic barely filled one floor. OneWorld also supports the community with family literacy centers, community health promoters, diabetes prevention outreach, nutrition classes and more. We now employ 440 full-time employees, including 90 clinicians, across 13 buildings. OneWorld clinics cared for 46,291 unique patients in 2018. To learn more about OneWorld’s history, please click here. OneWorld matters. Show your support on May 22!